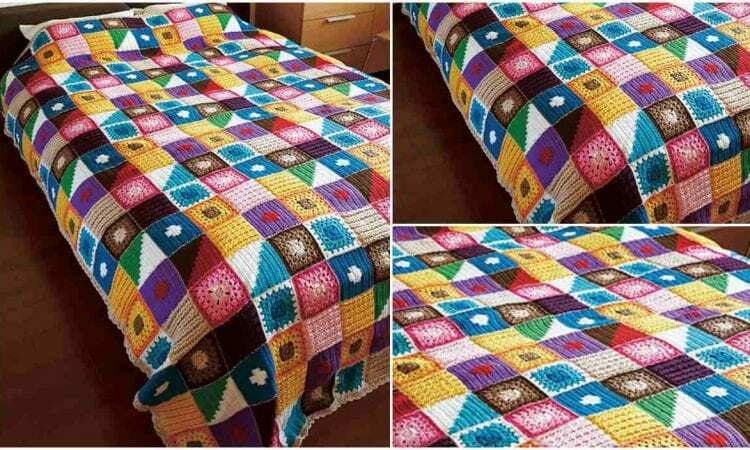 This amazing square bedspread is quite different from other patterns. There were 15 different color of yarn used to make it, and each square measure 4,9″ (12.5 cm). The whole bedspread is 75.4″ by 100″ (191.5cm by 254cm). If you like retro patterns, you should definitively try it!